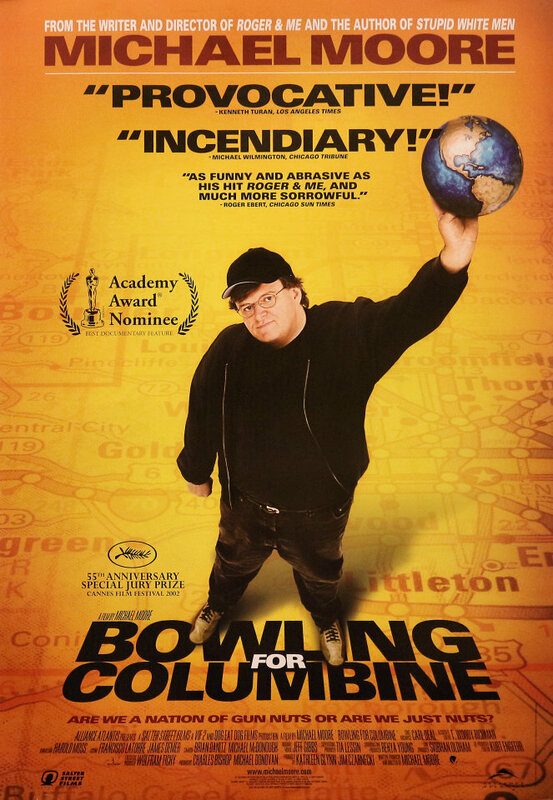 There is a scary frankness to the first half of Bowling for Columbine. It is a movie which effectively outlines the facts about gun-crime in America and does so in a way which can’t help but force you to shake your head in both disbelief and disgust. You can see why people respond so well to the producer, writer and director Michael Moore. 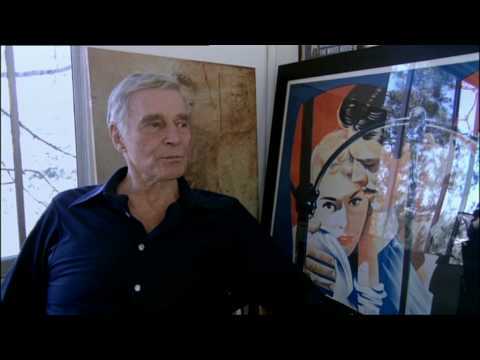 The way he structures the documentary is effective. Rather than begin with the Columbine tragedy that the title is referring to, the movie instead builds the problem in America. It outlines how easy it is to get guns in America (Moore gets one when he opens a bank account) and through the talking head and interviews with average, normal Americans, he also shows the passion that people have for their right to bare arms. It means that when he does finally address the Columbine shooting, it is done so with a clear context and an air of inevitability. The way the shooting is addressed is also clever, clear but shocking. Moore pulls no punches and is very frank with his style. The shooting is told from eye-witness, news reports and scariest of all, actual CCTV footage of the event, featuring the actions of the shooters themselves. It is engrossing and terrifying in equal measure and leaves you desperate for answers and most of all change. It is here that Moore outlines the arguments against gun laws and why other countries don’t suffer the same way. This is another clear and fairly damning argument against the actions of groups like NRA who lobby so fervently for the gun laws to remains as they are. Moore is good at taking each statement that the NRA and other similar groups use for why there is so much gun crime and tearing them down, particularly when referencing America’s closest neighbour Canada. His interviews are enlightening. To his credit he is enough of a name in the documentary world to justify interviews with Marilyn Manson on the anti-gun side and impressively Charlton Heston as a spokesman of the NRA. These are coups for the documentary and the opinion he is expressing but also begin to show the glaring issue with Bowling for Columbine. Michael Moore is a clearly opinionated, liberal director which means that there is a heavy bias leading out of this film. That is to be expected but once he uses this bias to start pulling stunts or asking “trap” questions of his pro-gun interviewees, the documentary becomes less effective. The second half of the film lacks the clear, straight fact-led approach that opened the movie and because of this he begins to lose some of the credibility he begins the movie with. Overall, Bowling for Columbine is a stark, scary look at the gun crime in America. It uses shocking footage, facts and effective interviews to highlight the problem and flaws in the pro-gun movements in America. If Michael Moore could have kept it slightly more impartial than he does, it could have been much more effective. I saw this for the first time a few years ago…still very relevant. Great post! Previous Previous post: WW1 and Documentary Month: The Launch!